Although amalgam and gold alloy fillings are safe and commonly used to repair decayed teeth, they are extremely noticeable - especially when speaking or smiling. For this reason many patients would prefer a more “natural looking” way to repair problematic teeth. Smiles By The Sea is happy to provide our patients with another tooth restorative option: white bonded fillings. Compared to amalgam and gold alloy fillings, white bonded fillings are made of composite resins, such as plastics and glass particles. The specific shade of the composite resin can be chosen to match your teeth's natural shade. As a result, bonded fillings are ideal for repairing decayed teeth and boosting your smile’s beauty. The composite resin is applied directly to the tooth's structure with an ultraviolet light which allows the procedure to be completed in a single appointment. Since the resin is bonded directly to the tooth, it fortifies the tooth’s structure and helps to prevent additional breakage. With proper care and oral hygiene, such as daily brushing and flossing, these tooth-colored composite restorations can last for 5 years or longer. Thomas J. Sniscak, D.M.D., family dentist in Spring Lake, will examine your teeth and review your needs and goals to help you achieve a flawless smile. Because at Smiles By The Sea, You Deserve a Beautiful Smile. 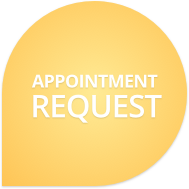 Contact our practice in Belmar, New Jersey to set up an appointment. We proudly serve the communities of Belmar, Spring Lake, Spring Lake Heights, Shark River Hills, Neptune City, Avon-By-The-Sea, Bradley Beach, Ocean Grove, Asbury Park.